When EzyDog asked me to try their new Zero Shock Leash, I jumped at the chance. Not because I pull Ma's arm out of its socket EVERY time I walk with her, but because when I see the elusive B-U-N-N-Y in our neighborhood, all bets are off...I can pull with the best of them when I see something good to chase. 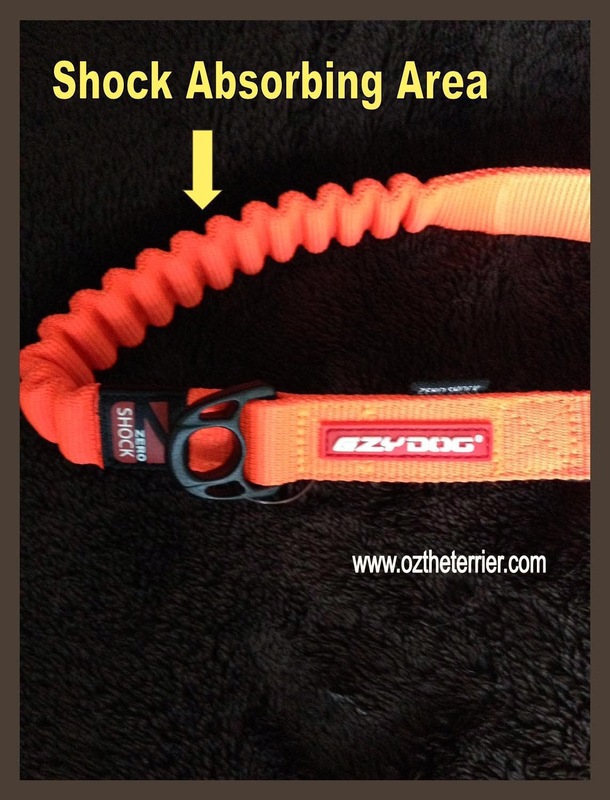 I chose the 48" Zero Shock Leash in Blaze Orange (my favorite color, by the way). 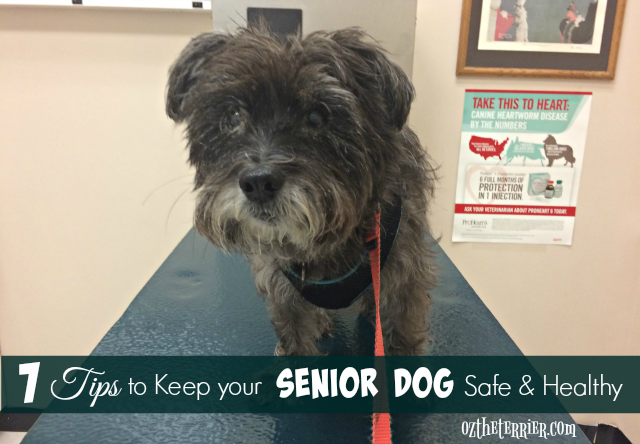 There is also a 25" size for those dogs that prefer a shorter leash. 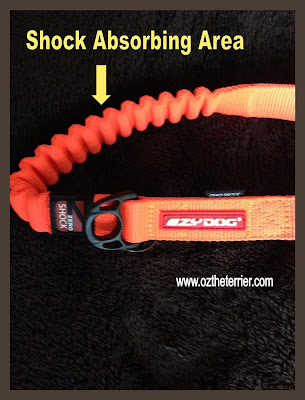 What is a Zero Shock Leash? I'm glad you asked! 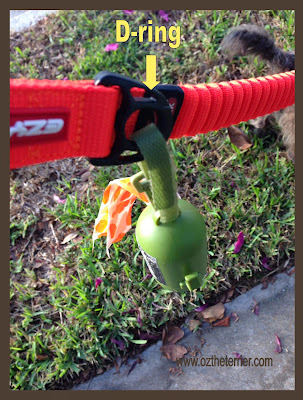 EzyDog's Zero Shock Leash is designed to reduce the strain and pull on the dog and the owner. In the center of the leash, there is a shock absorbing area that provides protection from sudden movement by stretching. 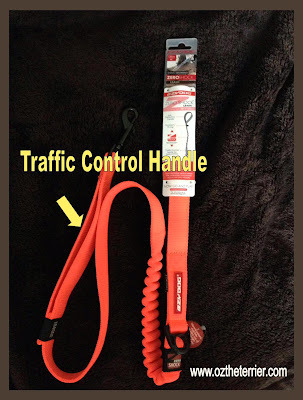 You can kind of see how the EzyDog Zero Shock Leash stretches in this short video. I noticed that it has a little "bounce back" as well, which can help "reel me in" from a good pull. Ma really likes the generously-sized Neoprene Handle. The side that touches her skin is nice and soft and makes for comfortable walking. Accessory D-ring. Why doesn't every leash have this? The D-ring feature is excellent for holding a poop bag dispenser and I imagine it would be great for holding a poop bag holder (like the BagBuddy from PoopBuddy or The Fifth Paw). Ma really likes that it is away from the handle so when we are walking, the poop bag dispenser isn't knocking into her wrist the whole time. Traffic Control Handle. The leash is doubled-up near my harness (or collar) which gives Ma a quick and secure way to grab me when "required" (like when I go into terrierize mode). I really like the EzyDog Zero Shock Leash. I've been using it on my evening walks around the neighborhood (B-U-N-N-Y time) and I know it will be great for my camping and hiking adventures! The shock absorber will keep me from pulling like a maniac when we first set off on our hikes (I get so excited and I just cannot help myself). 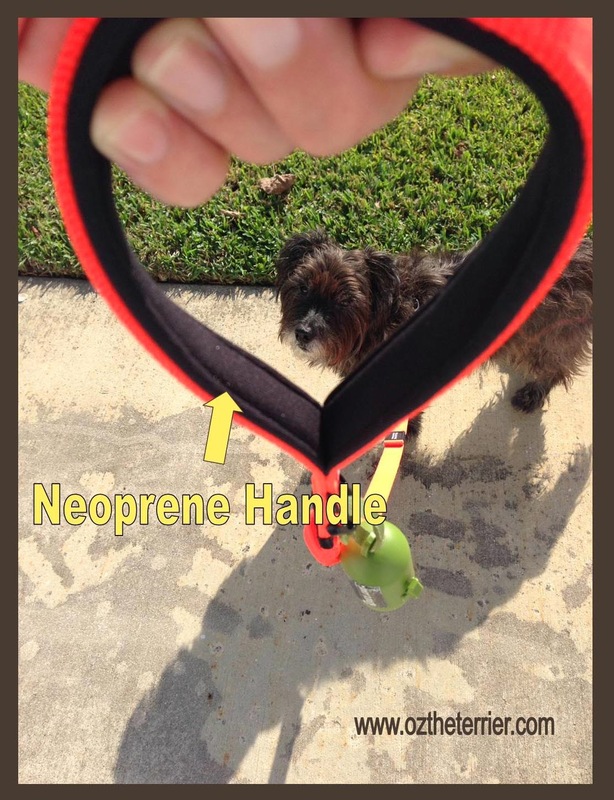 The Accessory D-ring is perfect for carrying my poop bag dispenser for picking up any accidents while walking around the campground (and hiking the trails). The Blaze Orange color will allow me to be seen while hiking and walking in the wilderness. to make your walks together more enjoyable. As EzyDog says: "Now Go and Play"! Review Disclaimer: I did not receive any monetary compensation for this review. I was given an EzyDog Zero Shock Leash for free product to review. The opinions in this review are my own and not influenced by any outsider. I receive no additional benefits for talking about the product or company. We love our EzyDog leash too. It's been perfect for Torrey when she gets in a pulling mood. It is perfect for those pulling times! I have a tendency to "bounce back"...BOL...it's that strong of a leash! Oh Madi...you are always too sweet. It looks great and you model it well Oz. Have a tremendous Thursday. 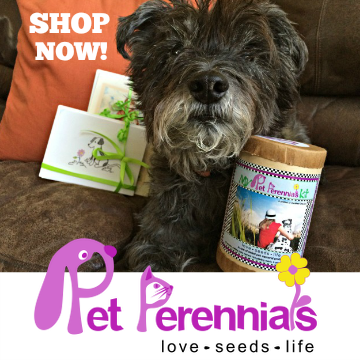 We have several of their products, including that leash and we love them! 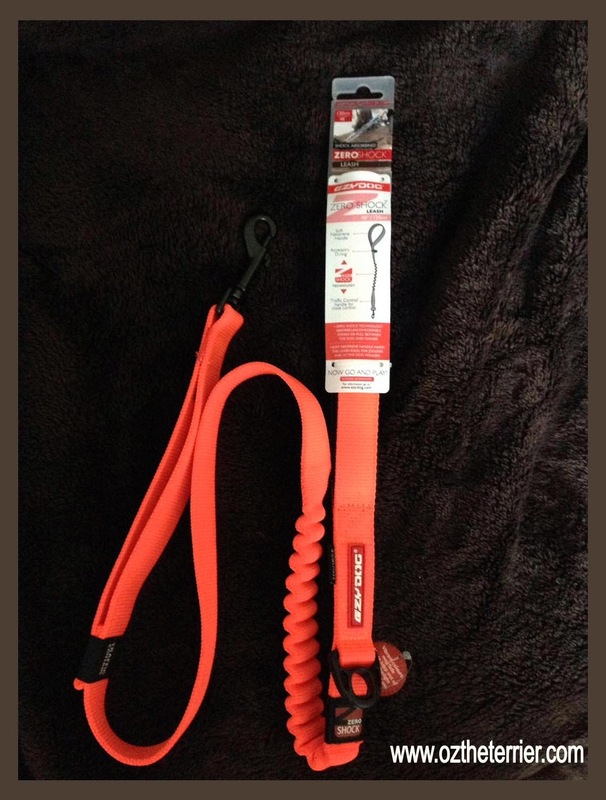 Great review, and I highly recommend using the leash with one of their awesome harnesses! You know, Bunny...I was looking at their harnesses! I need a better, sturdier harness especially for when we are camping/hiking/canoeing. AND they have harnesses in Blaze Orange!! Great review, Oz! 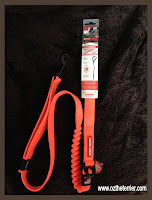 We have their Cujo leash and that is great too....it is so much easier on my arms and shoulders. Ma agrees...the shock absorber really helps. She says it is easier on her arms too. Oh, does Nalle like to pull?!? Maybe your mom should look into this leash then. Nice review Oz! That color does go well with your furs. This leash does look pretty cool! Why thank you, Miss Ann! I like the way the orange "jumps off" my furs. BOL It is a cool leash so if you have or know a dog that pulls, this may be a great product for them. 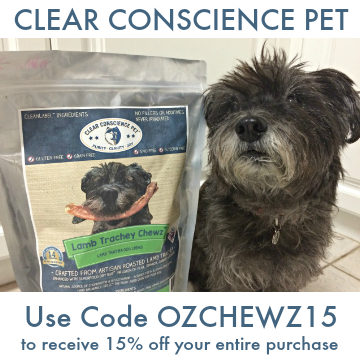 Ezydog has great products! 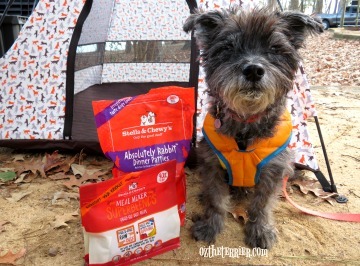 We loved the leash we reviewed too! Well, I have only tried this leash, but if their other products are like this leash, then yeah...EzyDog has great products. I remember that you reviewed the leash too! Ding ding ding ding Oz The Great and Powerful you home. Why that leash has a lot of great features. It is kind of like a bungee cord. Why if I fell off of a cliff I would have a soft jerk when I reached the end as long a Lee had a good grip on the handle. Sir William! So glad to see you, my pal! It is very much like a bungee cord, though I do not believe I will be jumping off any cliffs any time soon. I just don't see your Lee or my Ma having such a grip on the handle. BOL But yes...a soft jerk is all you get. I say it's like a "bounce back". Thanks for being MY friend!! I love the Blaze Orange too, Sugar! So my favorite color! I think I need to get an EzyDog harness. Last night on my walk, I went bonkers and slipped right out of the (cheapo) harness Ma had on me. Not good at all. 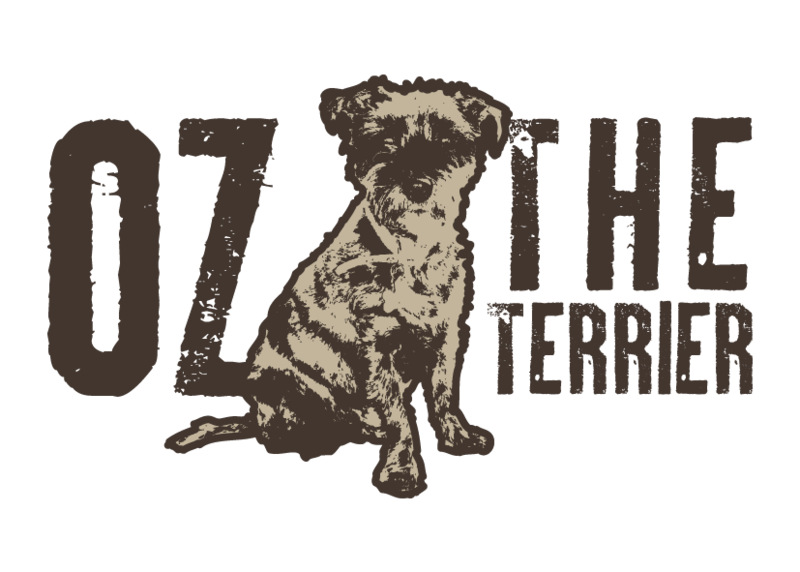 That is so cool Oz! But next time I want to see you chasing the bunny! BOL. Brian, I know I have a video of me chasing the bunny somewhere. I gotta find it for you...you will laugh. I cry when I chase the bunny. Thanks, Lily. Your review was very good too! Sounds like a great leash and I love the color! It is...and oh yes, the color is pawesome!! Great review! I noticed this on the EzyDog web site and wondered about it. Sounds very cool! Is that an Earth Rated bag holder? We love their holders! I drove all over town a few weeks ago looking for one. (Finally found it at TJ Maxx!) The leash seems so creative too, I love the idea. It IS an Earth Rated bag holder, but I ran out of Earth Rated bags. BOL The leash is great...my neighbor just commented on how sturdy it was. OMD, Ma SO needs this one Oz!!!! Why, just today a doggie started barkin' at MOI behind a fence and I went all 'flyin' squirrel dog' on Ma and nearly took her arm with me!! (what can I say...that doggie said I had a fat arse!! I mean, how rude!!) Anyhu, since I loves their harnesses, I thinks I'm gonna put this on Ma's wishlist!! Oh Ruby, noooooo! Some doggie said you had a fat arse?!? Oh, if I was there I would've put the bitey on that doggie. You are gorgeous and perfect! Now, about this leash...if you go into terrierize mode as I do, then this should be on Ma's wishlist because it does minimize the shock on her arm. Which harness do you have, Ruby? 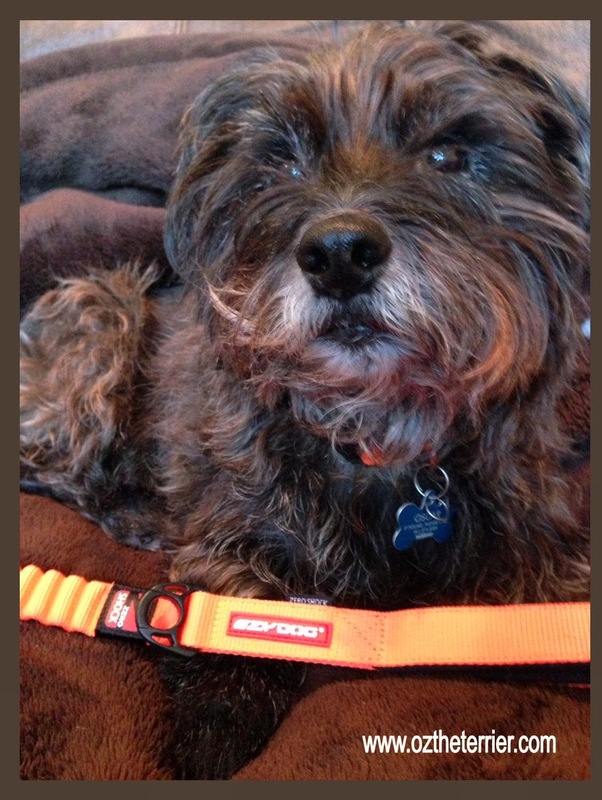 I am looking at the EzyDog harness and am thinking about puttin' the Chest Plate harness on Ma's wishlist. Great review, I love blaze orange also. You rock! Of course you love the Blaze Orange...it's a hunting color! Woof-hoo!!!! You can get them in the UK, Marley. Better put it on the Santa Paws list for Lola! 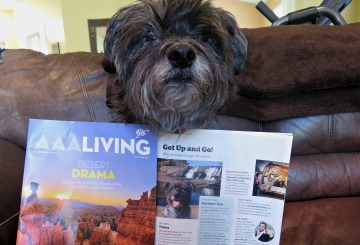 Pawsome review Oz. The leash is even in your special color! High Paw! 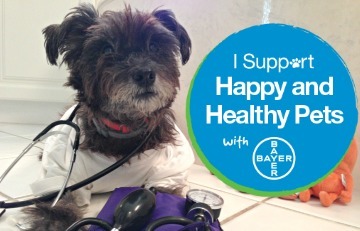 We reviewed one of their leashes but it wasn't this one. Mommy really liked the one she reviewed too. They make great leashes!